No matter how quickly you tried to switch the television channel lately, you probably couldn’t escape the trial of Dr. Conrad Murray or avoid hearing about propofol, an anesthesia drug that can be fatally easy to use. What you may not have heard is that the American people just dodged a serious threat to their anesthesia care, and most don’t know how near a miss it was. The Centers for Medicare and Medicaid Services (CMS) recently issued new rules concerning the conditions of participation in Medicare and Medicaid for hospitals and health care providers. Despite intense pressure, CMS sensibly left in place the rule that requires nurse anesthetists to be supervised by physicians. We should all be thankful, and stay on guard in case anyone tries to change that rule again. 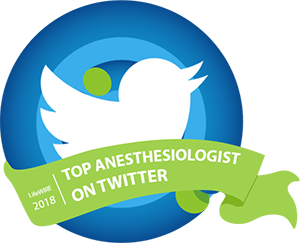 The new rules are open for comment until mid-December, and lobbyists no doubt will continue to argue that all anesthetics can “just as easily” be given by nurse anesthetists alone. This is a bad idea, and CMS should stand firmly against it. Here’s the background. This year, the Obama administration announced a plan to reform health care regulations that were unnecessary in its view. In particular, the administration said, the “use of advanced practice nurse practitioners and physician’s assistants in lieu of higher-paid physicians could provide immediate savings to hospitals”. In the new rules, CMS reasonably proposes to remove barriers to the work of physician extenders, for example by not making them seek out a physician to co-sign every order. But if lobbying efforts had succeeded, nurse anesthetists—alone among other mid-level providers—would be allowed to practice without any supervision at all. Hoping to make anesthesia services more profitable for hospitals and insurers, lobbyists purposely blur the differences between the education of physicians and nurses. They want to get rid of the cost-effective anesthesia care team model, where nurse anesthetists or anesthesiologist assistants work under physician direction. Mid-level providers on every team are essential to health care. When patients go to a primary care doctor’s office, they are likely to see a nurse practitioner or a physician’s assistant who can treat routine complaints, manage chronic illnesses like high blood pressure, and write prescriptions under the doctor’s authority. If you need surgery, a physician’s assistant may assist your surgeon in the operating room, and a nurse anesthetist may look after you under the supervision of your anesthesiologist. They’re working as part of the team, not replacing the physicians. Dr. Jane Fitch, recently elected First Vice President of the American Society of Anesthesiologists, began her career as a nurse anesthetist with a master’s degree. Troubled by her limited knowledge compared to the physicians she worked with, she soon went back for eight more years of education—completing medical school, residency, and then a fellowship in cardiac anesthesiology. While she was a nurse anesthetist, “I didn’t know how much I didn’t know,” Dr. Fitch says. Military families may be surprised to learn that if you become a patient in a U.S. military hospital (which isn’t bound by CMS rules), you may receive anesthesia from a nurse anesthetist who isn’t required to work with an anesthesiologist. This rule applies whether the patient is a healthy civilian having a minor procedure, or a grievously wounded soldier needing major surgery. The anesthesiologist may be called in to rescue the patient only when complications have already occurred. “Suddenly it’s my case, and my problem,” says a Navy anesthesiologist in frustration. President Clinton (whose mother was a nurse anesthetist) signed into law in 2001 a rule that permits states to “opt out” of the CMS requirement for nurse anesthetists to be supervised by a physician. Sixteen states—unfortunately including my own state of California—have adopted this rule to date. 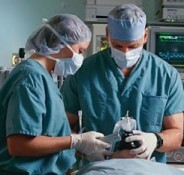 While it was originally intended to help rural areas improve access to care, the “opt out” rule supports any hospital that seeks to cut costs by allowing nurse anesthetists to work alone. By signing the “opt out” rule, President Clinton apparently meant that anesthesia care by a nurse anesthetist working without supervision is all right for you and for other people. When Clinton himself needed heart surgery, a physician specializing in cardiac anesthesiology headed his anesthesia team. The same was true of Governor Schwarzenegger, who signed the letter in 2009 allowing the state of California to opt out of physician supervision of nurse anesthetists. When he needed surgery, a board-certified anesthesiologist personally provided his anesthesia from start to finish. Now there’s a new threat to patient safety. Section 2706 of President Obama’s Patient Protection and Affordable Health Care Act (PPACA) prohibits discrimination by insurance companies against health care providers as long as they are acting within the scope of their licenses. It sounds innocuous. But this “non-discrimination” clause opens the door for non-physicians—like nurse anesthetists or chiropractors—to open clinics without physician oversight and bill insurers directly for anesthesia nerve blocks, epidurals, and other complex pain management procedures. These techniques benefit many chronic pain patients, but they carry the risk of life-threatening complications. Under the misguided logic of this law, I could deliver babies or take out gallbladders because I’m a licensed doctor, even though I’m not an obstetrician or a surgeon. The Obama administration expresses concern about the “impending shortage” of physicians as a reason to allow more latitude to advanced practice nurses. Certainly, public health nurses in the community don’t need immediate physician supervision to deliver care safely within their scope of practice. 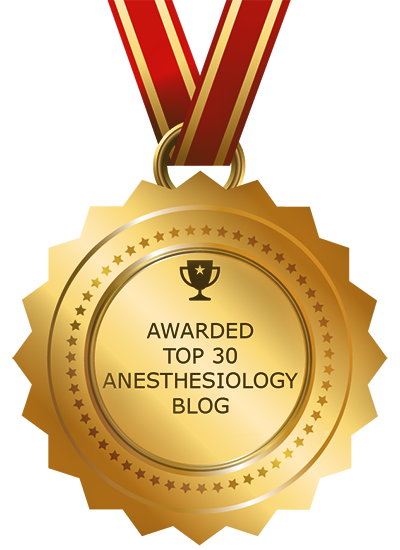 But anesthesia and surgery always carry the risk of sudden complications requiring physician intervention, whether in a hospital or an outpatient surgery center. If we cut out physician involvement in order to make anesthesia cheaper, we’re kidding ourselves to think that quality and safety won’t suffer. The American people deserve better.